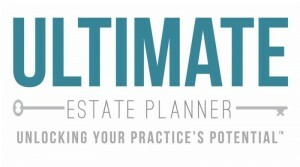 At The Ultimate Estate Planner, Inc. it’s important to us to keep our customers and the rest of the estate planning community informed about very important and exciting updates as it happens. A special thank you to Joseph C. Mahon featured on WealthManagement.com. On Aug. 16, the Internal Revenue Service released a draft version of a revised Form 706 (the 706), “United States Estate (and Generation Skipping Transfer Tax) Return.” www.irs.gov/pub/irs-dft/f706–dft.pdf. It didn’t release instructions. The revisions implement two major changes in the law. First is the allocation of a decedent’s unused estate tax exemption to his surviving spouse under Internal Revenue Code Section 2010(c)(4) beginning in 2011, the portability of the deceased spouse unused exemption (DSUE) under Treasury Regulations Section 20.2010-2T. Second is the filing of protective refund claims for unresolved claims for debts and administration expenses to take into account post-death events under the revisions to Treas. Regs. Section 20.2053-1 that apply to the estates of decedents dying after Oct. 19, 2009. Conceptually, the DSUE revisions are the most remarkable. They allow the filing of the return when it’s not required. The executor makes the portability election simply by filing the 706; the executor isn’t required to make a specific election. Rather, a check-the-box option is provided for opting out of portability. The draft form permits other elections to be made, including the qualified terminable interest property (QTIP) election for marital deduction purposes and the election to apply the decedent’s generation-skipping transfer tax exemption to the QTIP property. The election to take administration expense deductions for either estate or income tax purposes will also be required. The revisions may force consistent positions to be taken for state tax purposes for decedents in states imposing estate taxes. And, the revisions introduce the concept of estimated valuation for estate tax purposes in limited circumstances when property qualifies for the marital or charitable deductions. Part 6 of the 706 addresses portability, on a new p. 4. The option to elect out is at Part A. The actual computation of DSUE being ported to the surviving spouse is at Part C. And the calculation of DSUE available to claim by the estate of the surviving spouse is set forth at Part D, taking into account the DSUE received from the most recent deceased spouse and the DSUE received from one or more other deceased spouses and used by the current decedent. The result is then carried to line 9b of the tax computation on p. 1. The estimated valuation provision, referenced on almost every schedule and at Parts 1 and 5 of the 706, is likely to be of limited use. While the regulations refer to a range of estimated values being provided in the instructions to the 706, Treas. Regs. Section20.2010-2T(7)(ii)(B), the instructions aren’t yet available. Estimated valuation only applies to property qualifying for either a marital deduction or a charitable deduction when the value doesn’t affect the value passing to any other beneficiary or any elections to be made. (Treas. Regs. Section 20.2010-2T(7)(ii)(A).) For bank and brokerage accounts, the actual valuation of the property is likely to be readily available. For other assets, valuation may be required for other reasons, including establishing basis for income tax purposes or for the application of state death taxes. An alternative tax planning strategy for charitable bequests is to give the asset to the surviving spouse, so that he may then make the donation and claim a deduction for income tax purposes. Schedule PC, “Protective Claim for Refund,” provides a permissive method to preserve a claim for deduction under Treas. Regs. Section 20.2053-1(a)(5) for “unresolved claims” against the estate for either administration expenses or for debts. Schedule PC is required: (1) to be completed separately for each unresolved claim or expense that may not become deductible under IRC Section 2053 until the limitations period has expired; and (2) to be filed in duplicate. Schedule PC has three parts. Part 1 requests general information concerning the estate, including the number of protective claims being filed with the 706. Part 2 requests information about the specific claim being reported, including the amount in controversy, the parties, the basis for and a description of the claim, its status and copies of relevant pleadings or other documents. Given the information requested and the space provided on Schedule PC, attachments to substantiate the claim will likely be needed. No provision is made for a computation of the amount of tax reduction or refund due, consistent with the regulatory provision that the protective claim doesn’t need to state a particular dollar amount or demand an immediate refund. Schedule PC appears designed to be filed with the 706 and as a separate, stand-alone filing. It anticipates multiple filings with respect to specific claims, with subsequent filings reporting either partial payment or complete resolution of the claim. (See Part 2, lines b and c.) Once a claim is resolved, the regulations indicate that the resolution is to be reported within a reasonable time. At Part 3, Schedule PC provides for a listing of any Schedules PC or Forms 843, Claim for Refund, previously filed with respect to the unresolved claim. A necessary step in the estate administration process will be filing refund claims to follow up on the estate’s payment of contingent expenses and liabilities as they get resolved. Since Form 843 does provide for the computation of the refund amount due, in contrast to Schedule PC, it may be the preferred form to file. Hopefully, the instructions will provide guidance on the coordination of filing these different forms.